Course codes have changed for many Kinesiology courses. Download the new course codes here. The Department of Kinesiology offers an interdisciplinary curriculum for nonmajors, which is designed to provide students with the basic knowledge of human movement and sport sciences. The minor consists of courses offered by several options within the department. Complete a minimum of 20 credits approved by the department minor advisor. All must be KIN courses. Must have a C- (or better) in all graded courses. Pass/Fail option may NOT be used. Courses designated Credit/Fail MAY be used. No more than 8 credits may satisfy BOTH major and minor requirements. No more than 6 of the 20 credits may be in activity or coaching courses. Please note: The designation of the completed minor will be "Kinesiology" which means that you cannot minor in any of the majors (i.e. athletic training, exercise science, health and physical education, outdoor education, or sport studies). 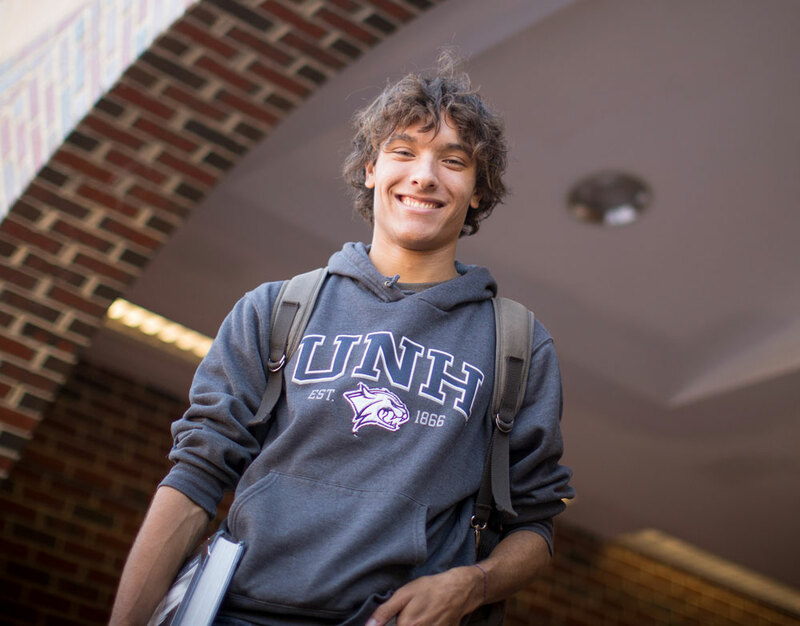 However, you may create an emphasis by carefully selecting appropriate courses so that anyone looking at your final UNH transcript will be able to see the emphasis. Make sure that you check the necessary prerequisites for a desired course - for example, BMS 507-508 is a prerequisite for KIN 620 and 652. If I minor in Kinesiology, can I take any Kinesiology courses I want? No, certain KIN courses are NOT open to minors. Be sure that you check well in advance before you "count on" taking a specific course of interest. 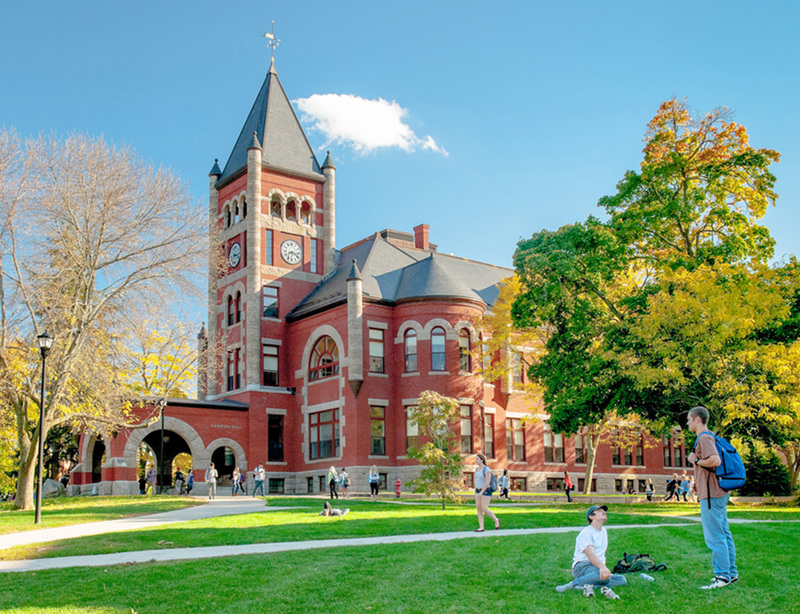 For Kinesiology Minor advisor's signature, see Professor Karen Collins, Department Chair, in New Hampshire Hall: karen.collins@unh.edu. Name: Rebecca Daniels Hometown: Andover, MA UNH Major: Kinesiology: Exercise Science Graduation Year: 2016 What are you currently doing? I am a research coordinator at Boston Children’s Hospital, working on exercise intervention studies to improve recovery following concussion. UNH Athletic Training majors Brooke Bergeron and Madeline Zimmerman were recognized by the New Hampshire Athletic Trainers Association (NHATA) as 2018 recipients of the NHATA Student Scholarships. The Athletic Training Major at UNH is accredited by the Commission on Accreditation of Athletic Training Education (CAATE). The program has been placed on Probation as of February 1, 2019, by the CAATE, 6850 Austin Center Blvd., Suite 100, Austin, TX 78731-3010.